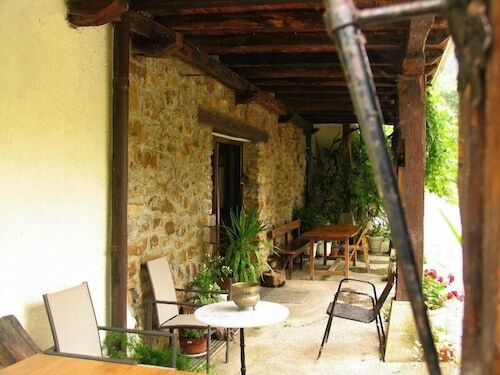 Situated in Deba, this farm stay is within 9 mi (15 km) of Zuloaga Museum, Santiago Beach, and Itzurun Beach. El Raton and Cristobal Balenciaga Museum are also within 9 mi (15 km). Situated near the beach, this farm stay is within 9 mi (15 km) of Zuloaga Museum, Santiago Beach, and Ekainberri. Saturraran Beach and Arrigorri Beach are also within 9 mi (15 km). 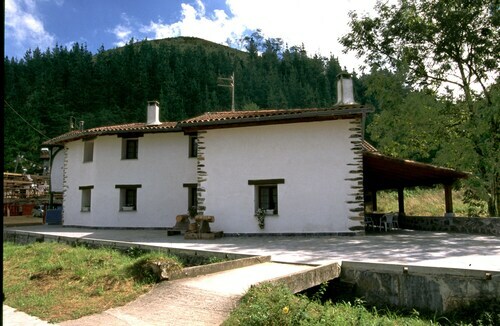 Situated in the mountains, this country house is within 12 mi (20 km) of Zuloaga Museum, Santiago Beach, and Ekainberri. Itzurun Beach is 12.2 mi (19.6 km) away. 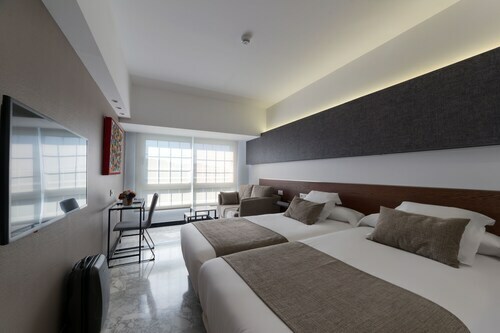 Nestled on the beach, this Deba hotel is within 12 mi (20 km) of Saturraran Beach, Arrigorri Beach, and Santiago Beach. Itzurun Beach and Zuloaga Museum are also within 12 mi (20 km). How Much is a Hotel Room in Deba? Hotels in Deba start at $76 per night. Prices and availability subject to change. Additional terms may apply. If you are roaming around in Zumaia and feel like staying in Deva, there are some hotels, apartments and other accommodation options. Deva is home to 3 excellent apartments and hotels within easy driving distance. Check out a few lodgings that are within a 3 miles (5 kilometers) of Deva's downtown precinct, including the Aisia Deba and Hotel Arbe. The Hotel Iriarte Jauregia is around 12 miles (20 kilometers) away from the town center of Deva. An alternative place to stay is the Talaimendi, which can be found about 8 miles (14 kilometers) away. 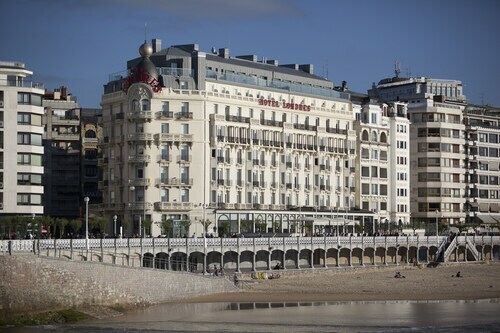 Alternate hotels and apartment options include the Hotel Zubieta and the Hotel Zarauz. If you have time, you could travel to other places in the Basque Country region. Basque Country boasts rural landscapes, beaches, coastal plains and forests. The most popular visitor draws include old towns, historic bridges and churches. Enlightened travelers in this part of Spain love mountain climbing, hiking and horse riding. 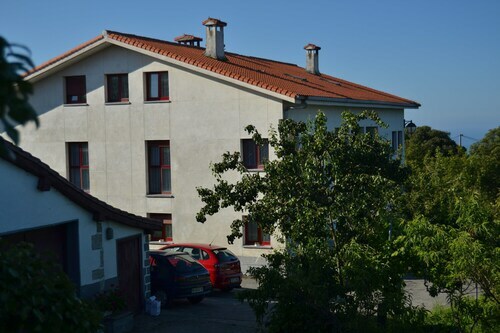 The closest hotels in Zumaia are Azpeitia and Getaria. Azpeitia is 8 miles (12 kilometers) to the southeast of Deva, while Getaria is 6 miles (9 kilometers) to the southeast. 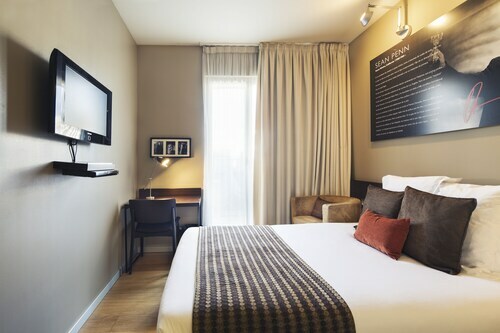 Azpeitia rooms are the Arrupe and Hotel Hospedería Larrañaga. The Hotel Olatu and Txiki Polit Pentsioa are amongst the Travelocity-listed lodgings in Getaria. Simply because you're taking a break from your usual habits, should not mean you can't fuel your passion for all things sport. You'll find Plaza de Toros 45 miles (75 kilometers) to the southeast of Deva. 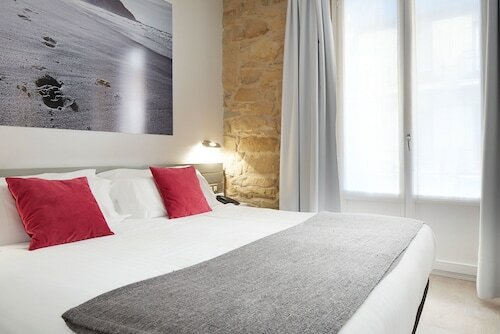 Anybody wishing to book a Travelocity-listed hotel close to the action should look at the AlmaPamplona - Muga de Beloso or the Hotel Sercotel Suites Mirasierra. San Sebastian Airport is a major gateway for arriving in Deva. It's located 25 miles (44 kilometers) away. If you would prefer to find Travelocity-listed accommodation nearby, check out Hotel Río Bidasoa or Hotel Jaizkibel. A very nice hotel. Great elevator. Terrific location. 5.0 Great location close to town and the beach. Staff very attentive and helpful. We would come back here. This hotel was very nice and had a very 1920's oppulent feel. The staff was very friendly and helpful. My room was on a high floor, beach view as requested which was great. However, in my opinion, the room was a bit on the small side, the bedspread and decorative pillows were a bit dated and there was an ever so slight dusty smell to them. Although very clean, i also found the bathroom to need a little bit of modernizing but that could just be a personal preference. I generally tend to stay in a smaller boutique like property so maybe this was just too much hotel for me. I would totally recommend this hotel though! We enjoyed this hotel on the last two nights of two weeks in northeastern Spain. The room and bathroom were room and comfortable by moderate-priced hotel standards and all the movie references a lot of fun. The second night we checked out a DVD from the large library available through the reception desk and then got a wine and a beer (for $4 total!) to take to our room for a night of packing and relaxing. Great location close to the bus station and about 20 minute walk to the train. The only fly in the ointment was the snippiness of one of the front desk women when we had her take a breakfast off the bill since we only ate one breakfast and not two. Probably our fault in miscommunication but she wasn't gracious about it, as we had come to expect after two weeks in this area of Spain. Definitely recommend the hotel.